Push, Pop and Eat! 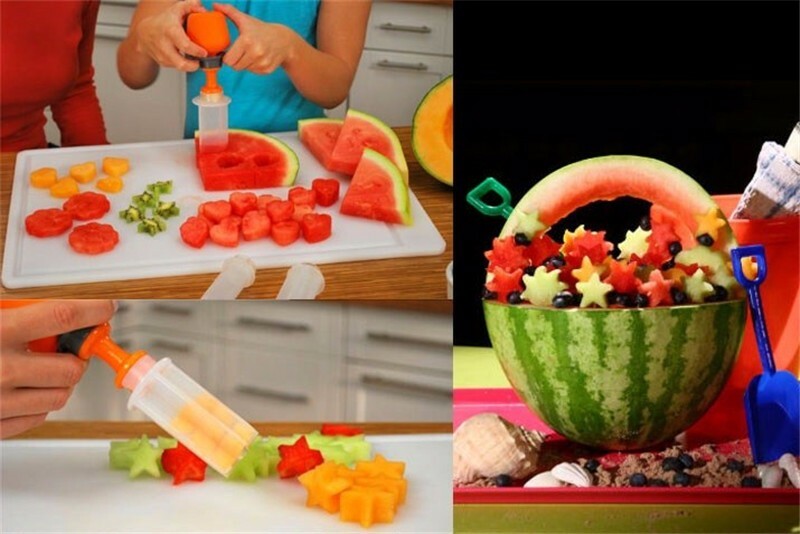 Make your mealtime fun by creating beautiful shapes from your healthy fruits or vegetables in seconds! Fun -Trick your children / partner into eating more vegetables and fruit by creating fun shapes from healthy snacks. 6 shapes (Circle, Heart, Flower, Butterfly, Sun, Star). 6 * Shapes (Circle, Heart, Flower, Butterfly, Sun, Star). It is easy to clean and the shapes are simple and fun... I can imagine this tool being used to make the most decorative and festive fruit salad that it might be too cute to eat. This is so easy to use, a 6 year old can do it... And he had so much fun making each of the shapes. I love these! I used them with kabob sticks to make really pretty fruit displays. I bought three of these for family and friends. Just what we wanted! Thank you!